Wilma Susie King, daughter of Ross King and Mary Caroline Kendrick, was born Aug. 3, 1991 near Hawleyville, Page Co., Iowa and died Feb. 8, 1993 in Omaha, Douglas Co., Nebraska. 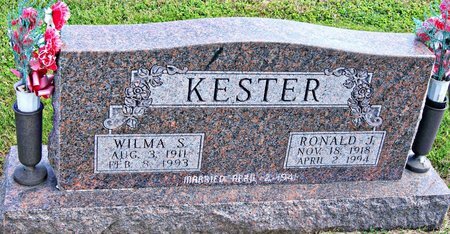 She married Ronald Joseph Kester April 2, 1941 at Maryville, Nodaway Co., Missouri. He was born Nov. 18, 1918 near Mount Etna, Adams Co., Iowa, son of Ernest J. Kester and Agnes L. Kilgore, and died April 2, 1994 in Creston, Union Co., Iowa. Searching for WILMA SUSIE KING KESTER in Taylor County Iowa?